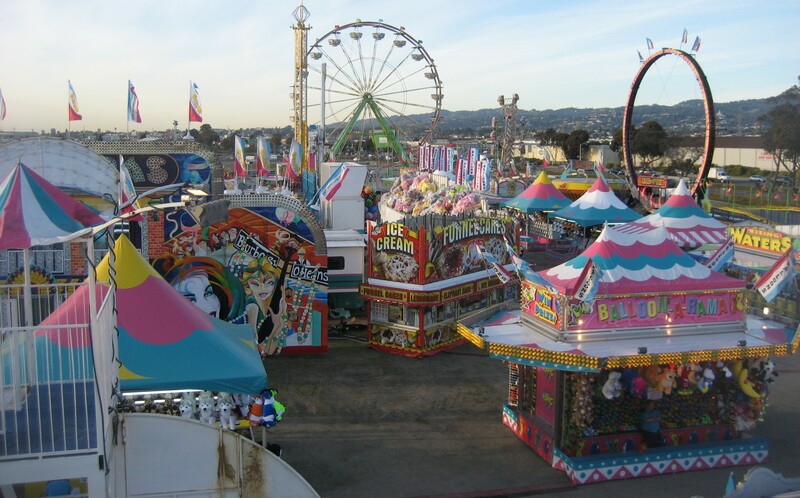 With the mother of all doubt on my only good shoulder, I left Chicago in February to work a year in traveling carnivals coast-to-coast while living on a carny salary. That meant many of my posts have not been about the five carnivals I’ve joined from California to Chicago, to New York, to Alaska, they’ve been about hitchhiking that same route – about 7,000 miles. I’m still no closer to a book deal but EyesLikeCarnivals has been rewarding. On the train ride from Chicago to San Francisco, the classic route of the Zephyr, I met a fella who called himself Puma Cabra. That fella now has a reality TV series on the Discovery Channel, starting tonight at 10 pm, EST. I interviewed him with the Colorado Rockies going past us in the background. He mentioned “Naked and Scared: Naked in Borneo” is being filmed in two months. Another question, I’m not including in this post, was his memories of the best times in his life. I may show that at the end of the year. This film reminds me I should be taking more of them. I can’t on the carnivals so far, because I am incognito. More hitchhiking films are in order when I leave Alaska, after playing Fairbanks in a couple weeks. I face every hitchhiking trip with a certain amount of dread, they are difficult, time consuming, weather-beaten ventures mostly rewarding only when I turn my head to look back.